Toon resultaten voor tags 'titanforge'. Take the role of escaped mental patients in this fully cooperative board game for 1 to 5 players. Enter the abandoned mental hospital from your worst nightmares. Each player controls a different crazy character with their own story and phobias which can become reality in any moment. There is one goal: to escape. But it is not easy when you think that all the staff are the evil monsters and the warden is the worst of them. Lobotomy is a scenario based adventure/dungeon crawler game. 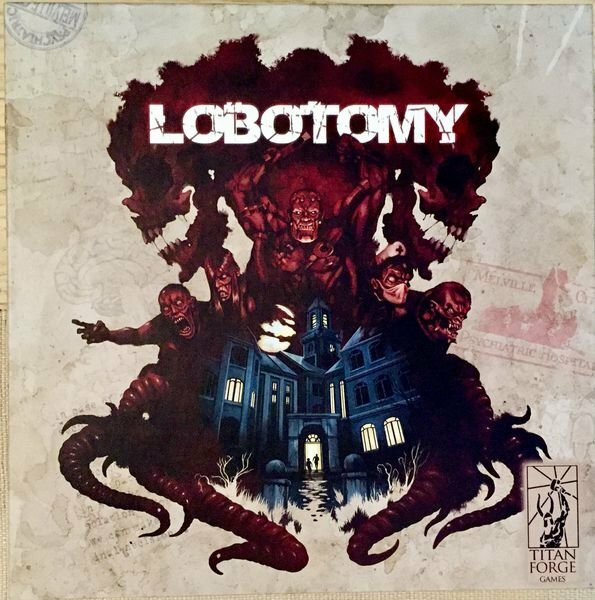 Lobotomy introduces such features as: big (yes very big) modular board where each module is a different part of the hospital (including outside areas like garden or chapel) completely different characters, with their own stories and mental illness which define their skills and powers different monsters, mostly based upon the old pulp horror movies fight, explore, or learn about your past, but you don't have much time until the warden finds you, and you must be prepared to face him All characters and monsters have their own awesome miniatures (with over fifty in the base set).